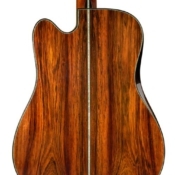 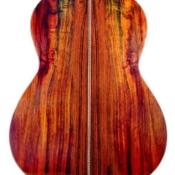 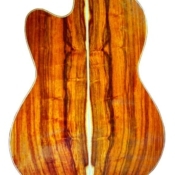 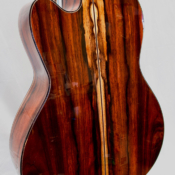 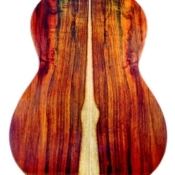 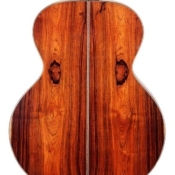 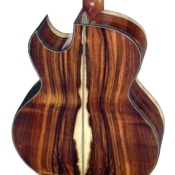 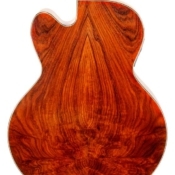 When I started out as a guitar maker back in the 70’s Brazilian Rosewood was the holy grail of guitar woods. 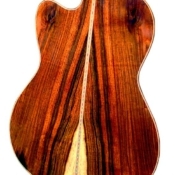 In the late 80’s I was fortunate enough to come across a few cubes of Brazilian Rosewood. 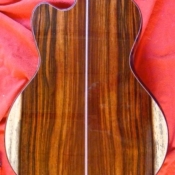 This was such an exciting find that I took a bond out on my house to buy enough for a lifetime of guitar making. 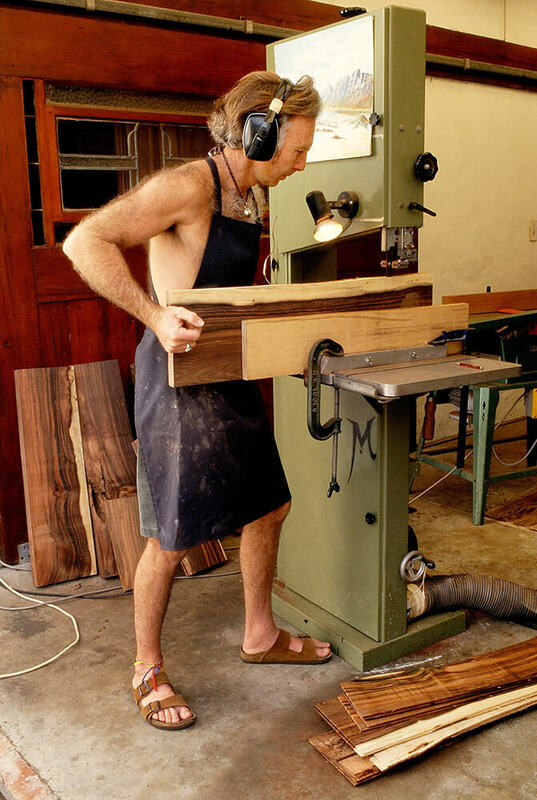 Looking back over a 45 year period now, I can see that the advise given to me as a young builder by José Oribe was very good advice. 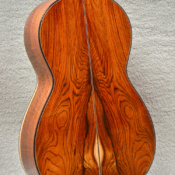 I was in his workshop in Southern California one day, and he was showing me his stash of wood when he came to his collection of Brazilian Rosewood, he said to me, “Marc if you ever come across a pile of Brazilian Rosewood sell everything to buy it.” His advice has held me in good stead, as looking back at these pictures of extremely gorgeous wood is a great joy. 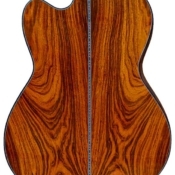 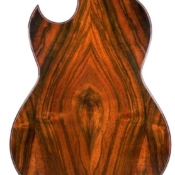 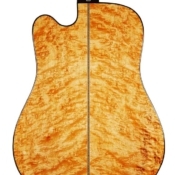 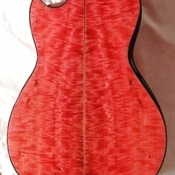 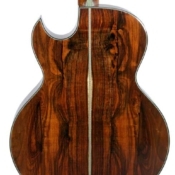 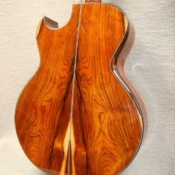 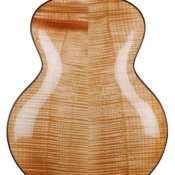 Not only is the wood beautiful to look at but it is still to my mind the holy grail of guitar wood, and I am well known for the use of this wood, and it has allowed me to reproduce modern guitars but with a sound relating to the golden era of guitar making in the 40’s and 50’s. 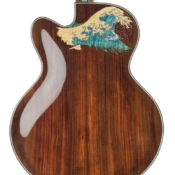 Currently extremely rare and requiring CITES certification, which I do have.